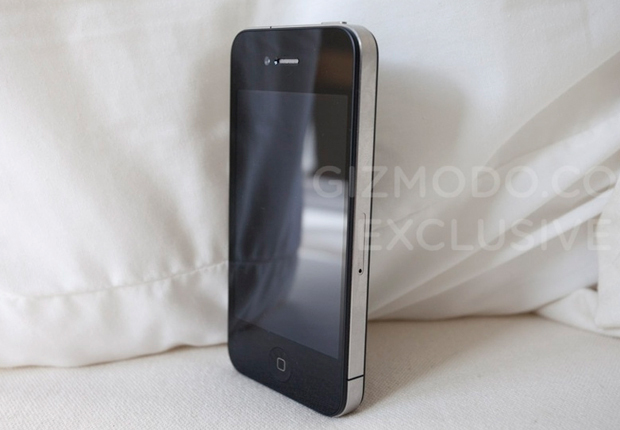 Apple‘s just released the latest developer firmware before the official iPhone 4.0 roll-out. This is geeky. What is not geeky is some of the secrets it reveals about the future iPhone workings. Apple seems to have utterly nailed it. 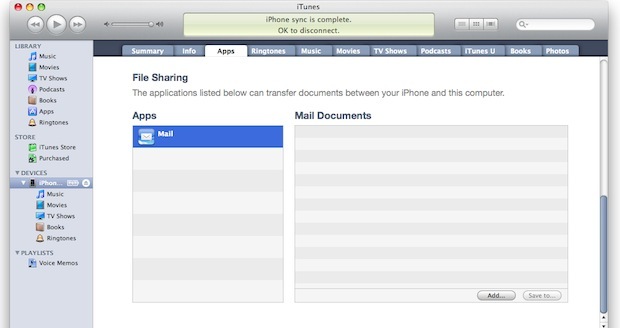 This is an oft-requested feature by the more traditionally minded iPhone user, used to managing files in folders on desktops rather than the iPhone OS’s hidden file management layer, but it’s going to be damn useful all the same: Apple’s enabling direct user-manageable file transfer between your computer and your iPhone (and later, presumably, your iPad). It’s a question of syncing the two devices, then clicking through to the Apps tab in the iPhone and scrolling down to the “Files” section, from where you can drag and drop stuff to and from your main computer. As the name suggests, Apple’s keeping a certain degree of control over this, and you can’t just dump files of any type willy-nilly–it’s app driven. For now it looks like only Mail is enabled, but it’s certain that other apps, like Pages and whatnot, will get this power by the time the OS officially rolls out. The iPad’s physical-switch orientation lock is handy for those reading-an-ebook-in-bed moments when the device’s gyros might otherwise detect your reading position incorrectly. It too is a feature oft-requested for the iPhone, but it looks like it won’t be replicated in hardware for the iPhone 2010–it’s appeared as part of iPhone 4.0’s multitasking pop-up panel as a virtual button. Hence, for users prone to using their iPhone when…erm…prone, a quick double-tap of the home button then a left-swipe will bring up the menu, then it’s just a question of clicking the icon. Apple’s engineers have obviously decided that this new menu has some useful functionality, though, and have viewed it as a mini widget portal, of sorts, because there’s also now a quick-access button to get to the iPod app (previously accessible by a double click of home in earlier iPhone OSs) as well as very basic iPod controls. Introducing multitasking also introduces the issue of users managing which apps are running (though iPhone 4 does a pretty good job of this automatically). That means letting users close active apps from the multitasking menu. Apple’s just tweaked this, not a lot, but in a way that makes it super easy to do: It’s now just like the old “delete app” function, where you hold your finger down over an app’s icon. The OS then enters a “close app” mode, which lets you shut down as many sequentially as you like. Add those together and you have a smartphone positioned to challenge the growing army of Android phones, but coming with the provenance of the iPhone’s history, lots of Apple chic, and hundreds of thousands of existing apps. iPhone 2010 with iPhone 4.0 aboard is going to be, let’s face it, the bees knees…and since many of these powers will also be available on older iPhones too, when their firmware is updated, it’s a bit of a win-win for iPhone fans. Update: Well, who’d’ve thunk it? With fabulous timeliness, MacRumors has been digging through the new SDK codes and has uncovered hints that the iPhone 2010 will be able to record video in 1024 x 720 pixel resolutions. That’s 720p, folks, or the same resolution as many a basic HDTV sports. This implies the camera (and its ancillary hardware) is better than we may have hoped for. Dare we imagine it also has a physical zoom capability?